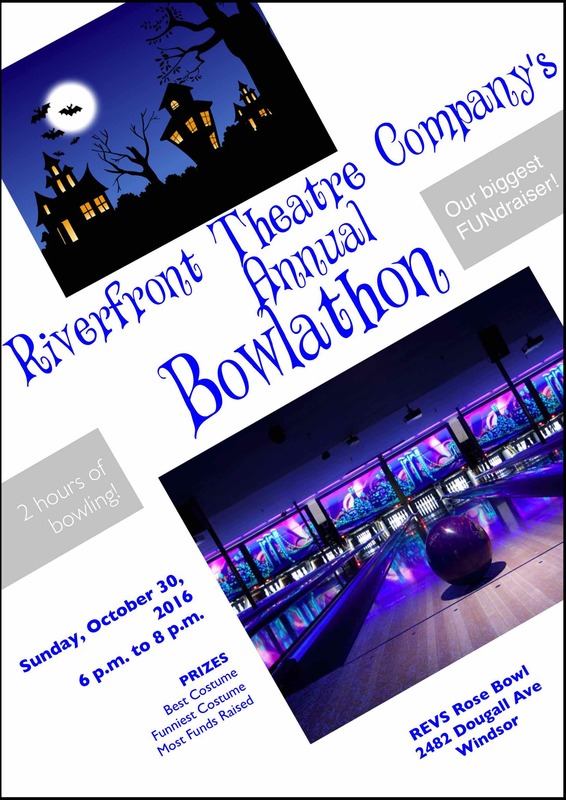 On Sunday, October 30th, from 6 p.m. to 8 p.m., our Riverfrontiers will be locked in joyous combat on the lanes of REVS Rose Bowl in an attempt to get those bowling balls going where they’re supposed to, all the while sporting the most outrageously fabulous costumes they can concoct. We have small prizes for most money raised, best costume, and funniest costume. We have a great time, but the biggest goal is to raise money towards this season’s productions! So don’t be surprised by knocks on your door in the next few months, as we hit the road to raise awareness about our three upcoming plays, and Riverfront’s programme, while asking for a little community support. We love small change, because YOUR SMALL CHANGE in dollars can make BIG CHANGE in what we can bring about with RTCyouth! Our goal is to raise $5000. With 46 families participating, if they each get sponsored for $100, we’ll just about be there! For donations of $20 or more, we are able to issue receipts. This is a MAJOR fundraiser for us – and Riverfrontiers will likely be approaching you over the next few weeks for sponsorhip for this costumed event. Their fundraising sheets will be going out tomorrow at rehearsal, with all funds due in by the day of the Bowlathon! Next: Next post: Announcing: The Cast of Princesses Aplenty!